You can create screenshots on your HTC smartphone without having to install additional applications through the system functions. The removal of the screenshots may be necessary if you want to show some notification on the screen or to share information about the app or the song that is currently playing on your device. 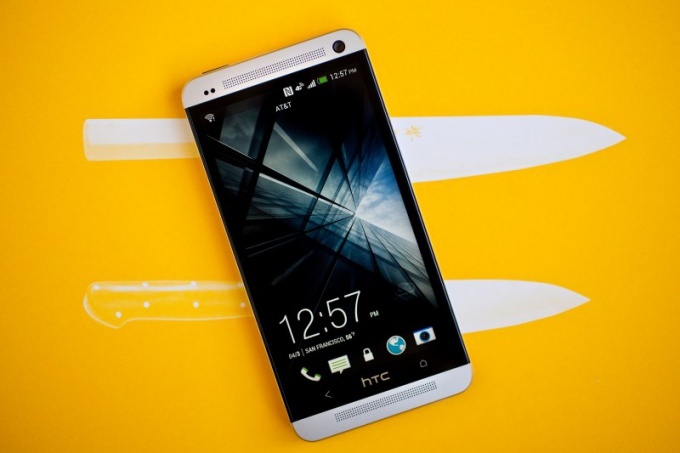 To create a snapshot of the screen on the HTC use a special key combination on the device. To do this, press the power button, which is located in the upper part of your machine. Simultaneously with the power button hold down the centre key of the unit. If the operation was done correctly, the desired picture appears in the Gallery of the smartphone. Click the shortcut in the main menu and go to the album "Pictures" of the device. This folder will house all your created screenshots. You can copy the image data to a computer or to share them using the client software for your messaging service or social network. If your mobile phone is not equipped with buttons at the bottom of the front panel of the device, try the key combination of enable and the button decreases the volume. After clicking you can check the corresponding folder of the gallery. If photo was taken successfully, you will see a special animation and you will hear a clicking sound, which will notify you about the successful creation of the snapshot. To create the screenshot, you can also use third-party apps available in the app store Play Market Android. If you can't take a screenshot with standard tools HTC, go to the software Manager Play Market, using the shortcut on the desktop or in the main menu of the device. Enter "Screenshot" into the search bar of applications, and among the obtained results, choose the one you like. Read through the descriptions of the programs in which you may be told how to take a screenshot. Click on the "Install" and wait for installation. Run the program via the created desktop shortcut and go to "settings" (Settings) to set combination of buttons, which will be responsible for the creation of a screenshot. After making the settings, minimize the app and hold down the desired key combination. The created screen images will also be uploaded to the "Gallery" smartphone.